Week by week every Thursday I will reflect on previous experiences I've had creating videos over the years. In Week #5 of TBT for 52 Weeks I talk about "Underwear Man". This is a student film I created circa 2003. The assignment was to create a silent movie and add the sound effects in post-production. It wasn't until 2015 that I found this short film once again and found that it was an unfinished project. I added the sound effects and now "Underwear Man" is complete. Watch the short film at the link below and remember to Subscribe! To save you the trouble of reading about why these videos are apart of my Top 10 favorite videos to create this year, you can watch for yourself. However, if you're interested I recently announced that I'm starting a web series about previous videos I've created called "TBT For 52 Weeks". I'll most likely talk about a handful of the following videos shared below, enjoy! Happy 18th Birthday to My Brother Eric! TBT For 52 Weeks Announcement! The first video will be posted on January 7, 2016. Stay tuned! This video is about my 1st experience shooting at the McQueeney Gun Club in New Braunfels, TX. Below is an animated .gif of a scene from My Imaginary Friend, a short film I worked on with my friend Brandon Mackey. As I mentioned before, the screen capture above is directly from a CreativeCow.net article titled “The Camera Is An Eye – Not A Vacuum Or A Gun”. The article refreshed my memory of a scene I worked on from the short film ‘My Imaginary Friend’. 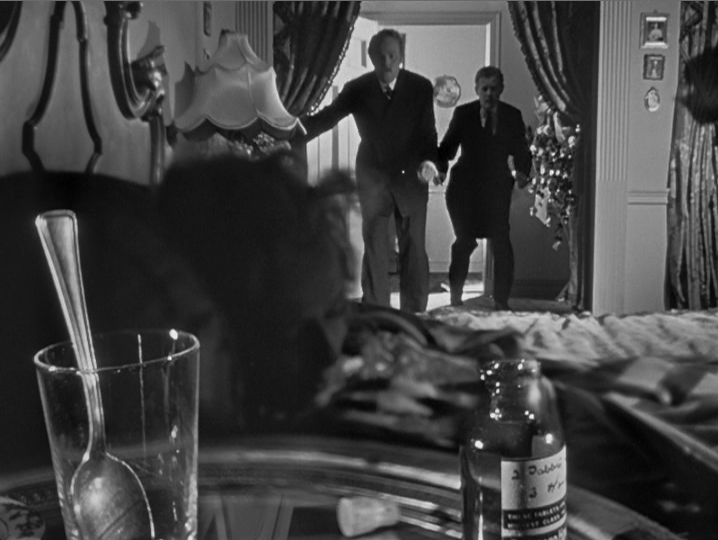 This image stuck out to me the moment I saw it because I can remember lifting this same technique from Citizen Kane. In 2006 when I was in college and made ‘My Imaginary Friend’, is around the time when I watched Citizen Kane for the first time. I may have watched it a couple years before, but just around this time of my life I was obsessed with Orson Welles. Now I don’t believe I was technically ‘stealing’ like I have titled this post, but I was for sure influenced by the cinematography in Citizen Kane. Nowadays these choices of where to place the camera is ingrained in the way we make movies today. In fact every movie is technically stealing from the past in one way or another. As a filmmaker I believe it’s important to try and understand the history of filmmaking as much as possible in order to stay creative, and fully understand how stories can be told. Facebook.com/RayRomanMedia - Follow my page for all things movie related and other things that interest me.